The Tolling Industry - Is Software Eating Us? If the answer is, No, ask why not! As they say in Silicon Valley - “Software is eating the world” but is it eating the tolling industry? First, a definition of the quote “software is eating the world” - this is a phrase that was coined by Venture Capitalist Marc Andreessen in 2011 who co-founded the browser company Netscape (for a detailed look into his background you can check out https://en.wikipedia.org/wiki/Marc_Andreessen). Said another way, irrespective of the industry you’re in there is going to be a component of software in your business. How that industry (or company) acquires/adopts/integrates that software can produce dramatic benefits. Tolling agencies have made significant headway when it comes to adding software solutions to their offerings; primarily by way of providing account management apps that allow users to update account information associated with their transponder. For the most part, these apps take the place of the user having to go to a website that may or may not be formatted for a mobile device; thus the app provides a smoother customer experience for their transponder accounts. But what about drivers on the road that do not have a transponder account and prefer to pay using alternative means? 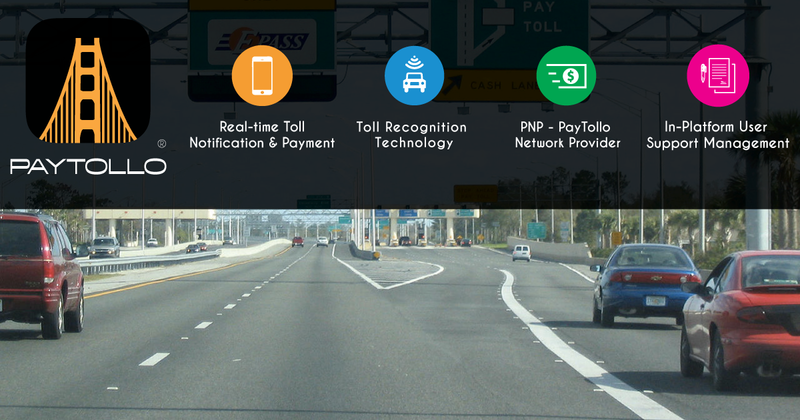 This is where PayTollo® (link to www.paytollo.com) and it’s proprietary toll recognition (TRT™) technology bridges the gap. PayTollo provides an end to end solution to the driver who does not have a transponder account; from customer service, payment processing, and account reconciliation. And, for the toll authority, PayTollo provides a means to collect toll fees from drivers who would otherwise fall into the violation process (or, at best, invoice process). Either one of these processes incur costs to the toll authority and often adversely affect the consumer and the consumer’s perception of the toll industry. As an industry solution, PayTollo is 100% software; the consumer has already borne the cost of the capital infrastructure by purchasing a phone and paying the telecom companies to provide network/gps services. For a tolling agency, it is an incremental update to the system(s) currently in place with only software coding, no hardware is necessary. To find out more about how this is achieved please contact evan@paytollo.com to set up a one-on-one webinar that will walk you through the system and answer any questions you have.